So I find myself in Barcelona for a week. I know I’m a lucky girl, but I also know that when opportunity presents itself, to seize the moment hard and fast. And just as my Paris trip last year was inspired from a movie, this trip was sparked by reading this book. Barcelona’s been on my brain for a while, but after reading about Ferran Adria and seeing so much about Spain’s culinary breakthroughs it became tops on my “must” list. 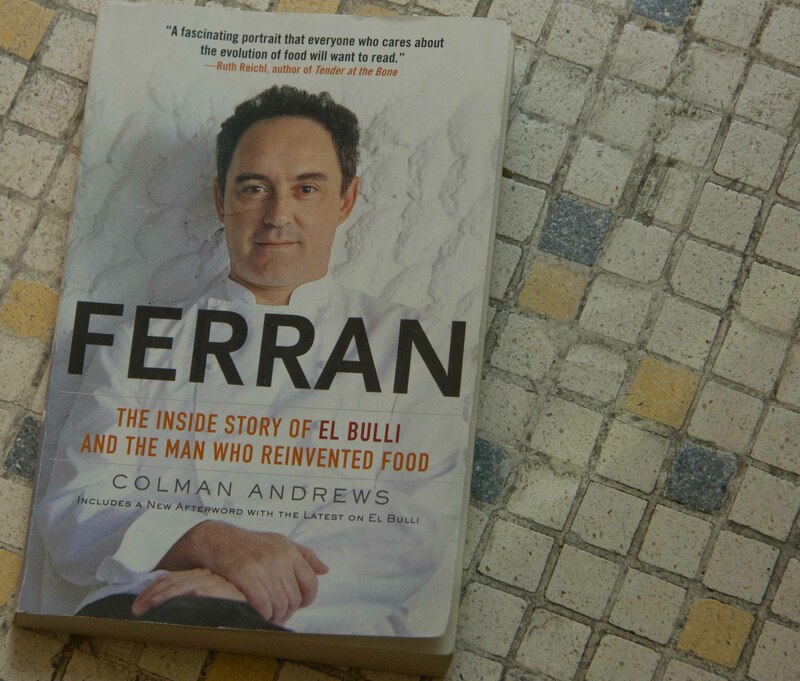 I imagine most people reading this post are familiar with Ferran Adria and El Bulli, but if not you can read about him here. Or check out this awesome Anthony Bourdain episode about him here. I am an Adria addict. I can’t get enough of reading about him, watching shows about him and hopefully on this trip, experience his creations. To truly appreciate all that is Adria, I know that I must experience all that Barcelona has to offer. Lucky for me, on the agenda is some very good food. Landing late in Barcelona after a hard day of travel, I couldn’t wait to start eating. 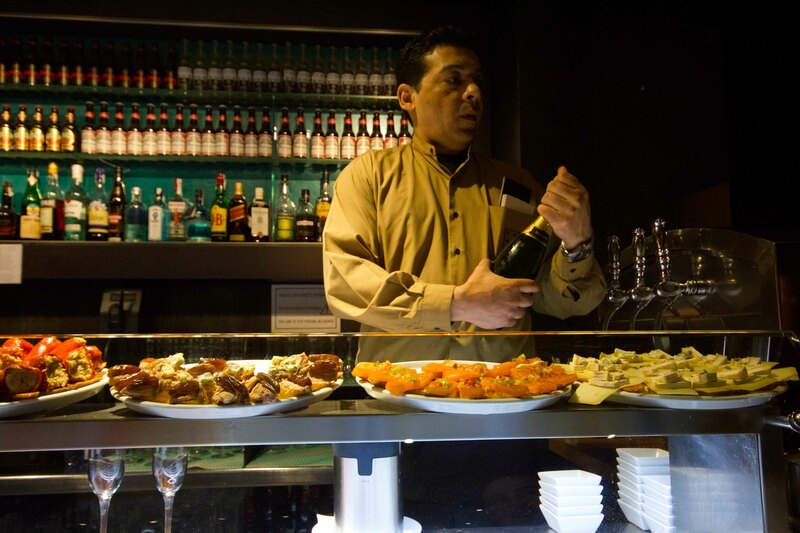 Fortunate that the people of Barcelona eat late, we were able to find quite a few tapas places open after 11pm. We wandered around the Eixample area where we’re staying trying to find the perfect first taste of Barcelona, my breath was taken away by my first glimpse of Gaudi. 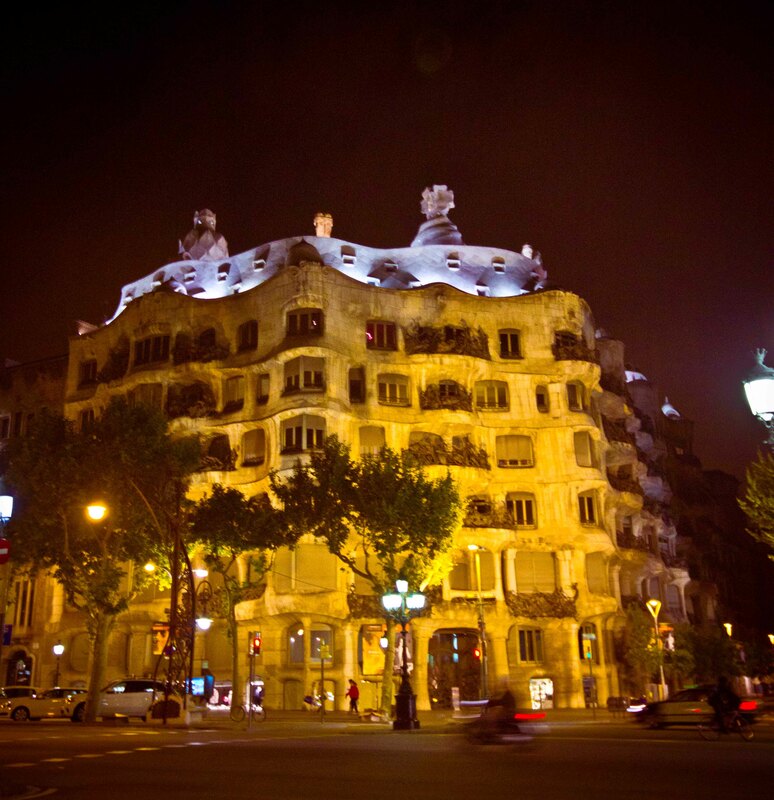 La Pedrera is magical and I felt extra special getting to have this moment in the evening without the hoards of tourists. Walking around, we tried to get into a few places but they were either packed or closing. Luckily, we were able to grab 2 seats at the bar at the very busy Cervecaria Catalana. Being very limited in our ability to communicate in Spanish, but being very adept with the point and smile method, Ben and I were able to put together a fantastic first meal in Barcelona. 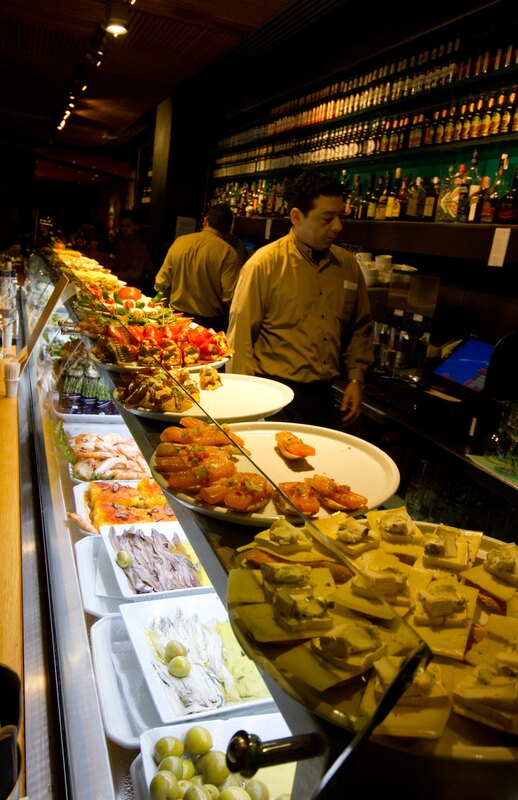 The eye-catching array of tapas lining the bar all looked so wonderful. I didn’t know where to start. A full bottle of cava for us to celebrate our arrival, ’cause that’s how we roll. 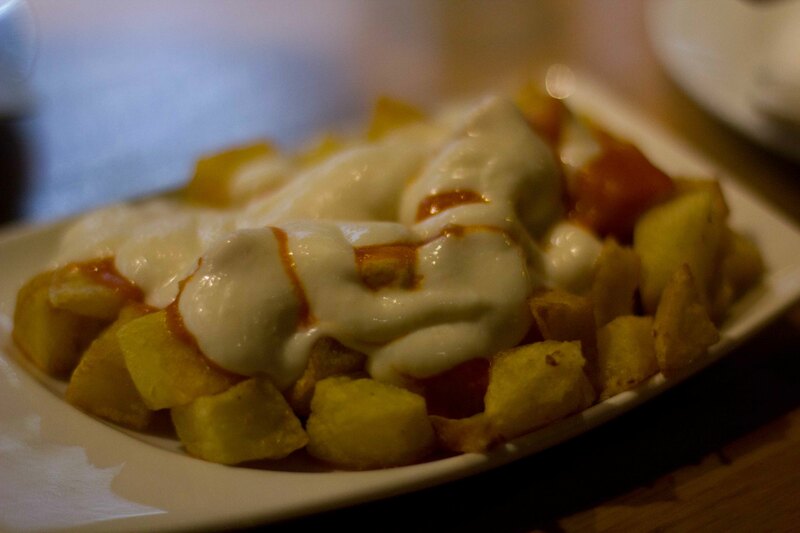 Patatas bravas – everyone else seemed to have them, so we ordered them as well. Delicious but so garlicky it kept me up through the night, or was that jetlag? 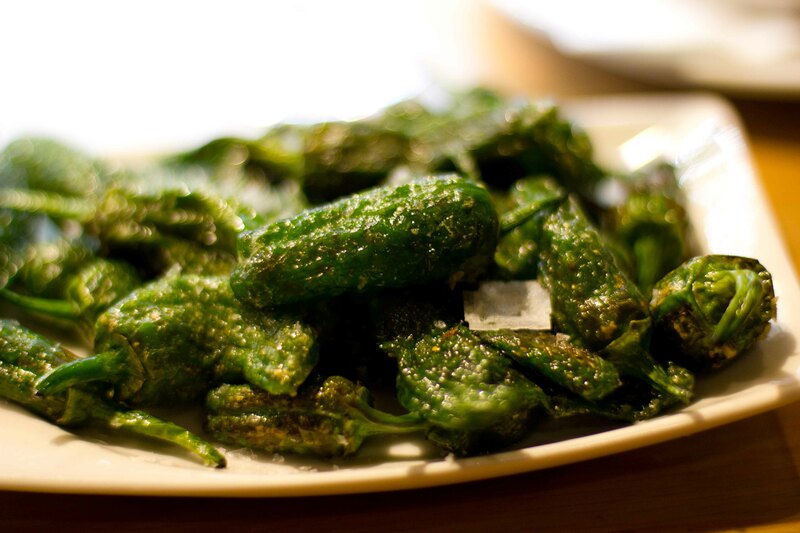 Pimientos de padron – I travel to Seattle every year just to have these in season. Lucky for me they’re everywhere here. Ok, so these fried calamari were a mistake. I thought I pointed at some sort of sautéed baby squid dish. My meal was heading towards the “too much fried” point, but I was loving everything too much to care. 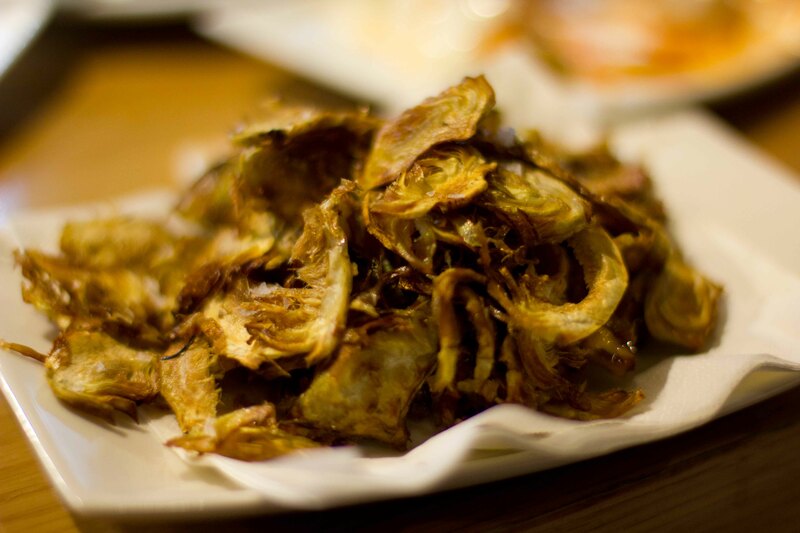 Fried artichokes – another thing everyone seemed to be ordering. 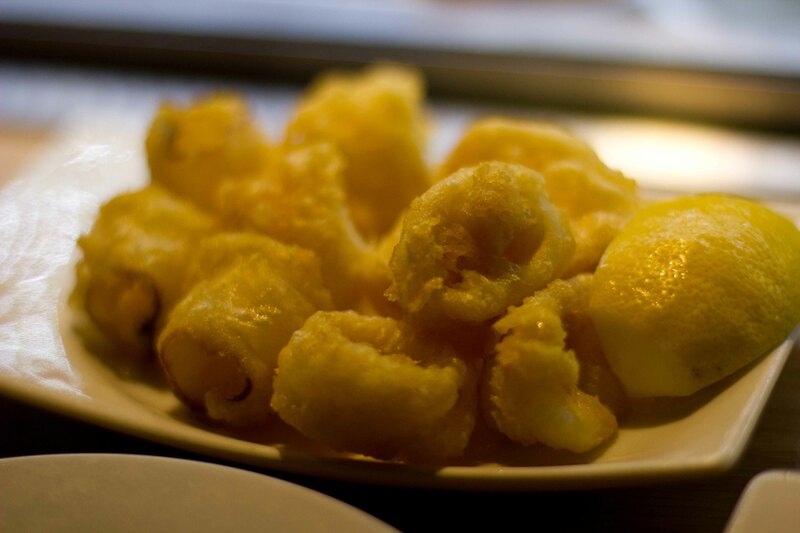 Addictively salty, these were the perfect accompaniment to my wonderful glass(es) of cava. 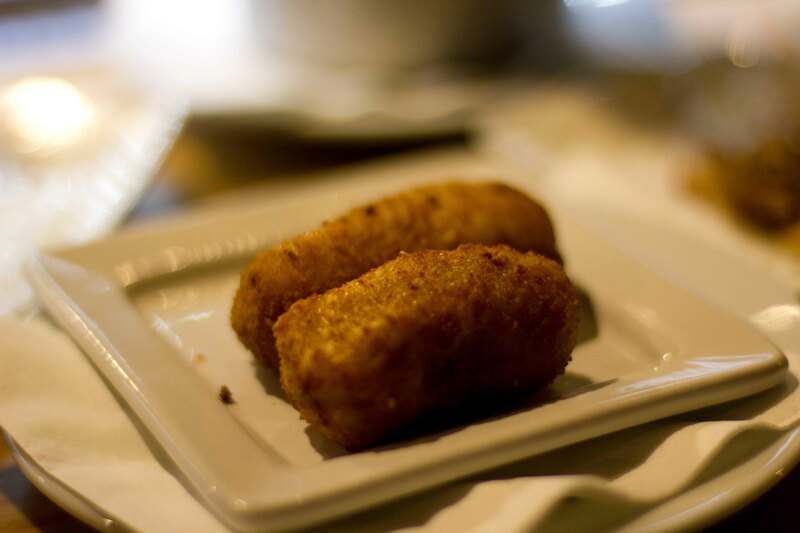 Ham & chicken croquetas – Very flavourful, but the only disappointment of the evening because they weren’t hot enough. 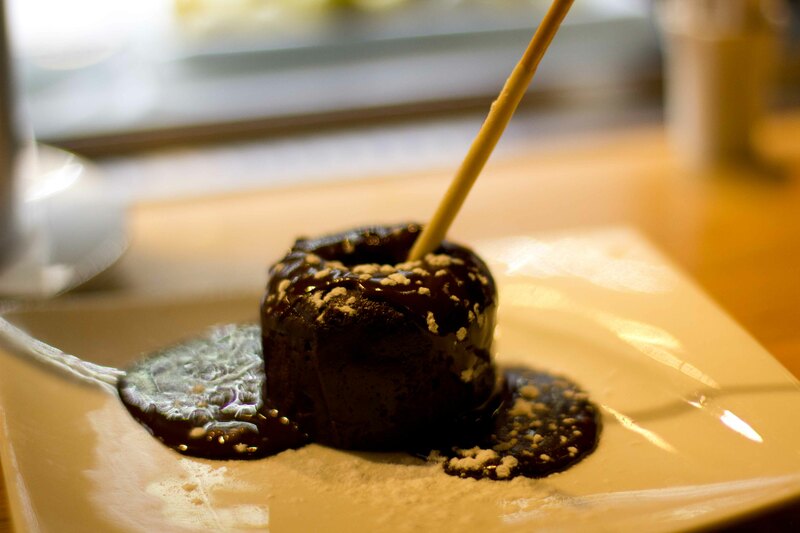 Not usually a dessert person, I indulged Ben’s craving for chocolate because we’re on vacation. What I found to be too sweet, Ben thought was delicious. 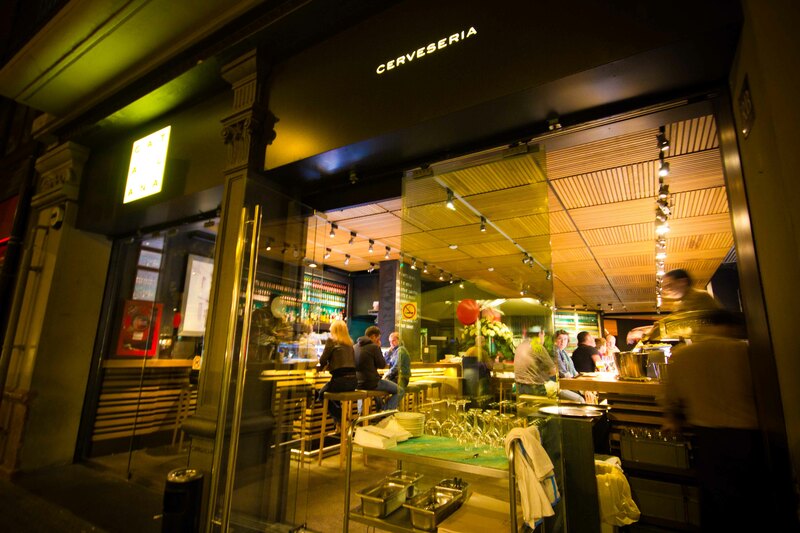 If Cervecaria Catalana is typical of the delicious food that I can stumble upon on the streets of Barcelona, I know I’m in for one heck of a ride here. I hope my stomach can keep up. But if eating this well gets me closer to understanding Spanish and especially Catalan cuisine and get me into the mind of Ferran Adria, well I guess I’m all in.